Every time you see your child take a hard hit during a game or during practice, your heart stops. That’s understandable since the risk of injury to young athletes is a concern for parents everywhere. Youth sports are becoming increasingly competitive and while you want your child to appreciate the benefits of participating in physical activities — you also want to ensure that the benefits outweigh the risks. One of the common injuries a young athlete may encounter is shoulder dislocation. This is a frequent injury amongst contact sports where collisions usually occur. If your child participates actively in a contact sport, learn about the likelihood of shoulder dislocation and how to prepare in case it happens. The shoulder is vulnerable to dislocation because it is the most mobile joint in the body. However, there is a compromise between mobility and stability. A shoulder joint that constantly moves around comes at the cost of it being much less stable. The shoulder joint can be thought of as a very shallow ball and socket joint. Due to its shape, it has minimal resistance to shoulder dislocation. The shoulder can move completely out of the socket which results in dislocation. 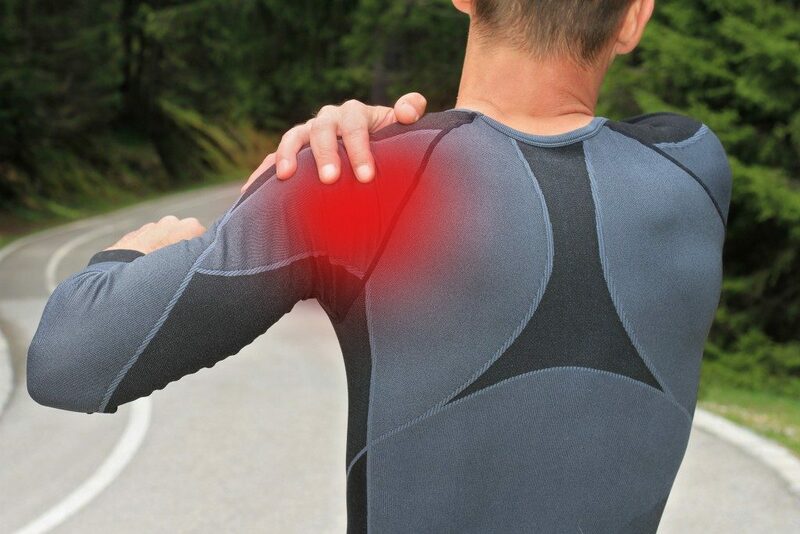 After a violent impact, shoulder dislocations have indicative signs like intense pain in the shoulder area as well as weakness, tingling and numbness in the hand and arm. Swelling, bruising and muscle spasms may also occur on the shoulder or upper arm. Sometimes there is also a visible deformity of the shoulder joint and an inability to move the arm normally. The common sports that have high dislocation risk are lacrosse, rugby and martial arts. Sports involving contact have a higher chance of dislocations, as the arm can be violently forced out and away from the body with tremendous load applied to it. When athletes experience shoulder instability, they feel the bone go out of place. Sometimes the shoulder spontaneously returns to its location but most times it remains dislocated. According to orthopaedic surgeons, muscle spasms will develop the longer it remains dislocated which lessens the possibility of it spontaneously reducing. In these instances, the athlete needs to be taken under the care of a specialist. Emergency treatment is needed to return a dislocated shoulder back into its socket. It usually does not require surgery. Physicians will look for evidence of past injuries that could be the root of dislocations, such as nerve injuries and bone fractures. Treatment begins by resting the joint, often with the use of a hospital sling. It’s followed by physical therapy to strengthen the ligaments, tendons and muscles of the shoulder. Prompt relocation by a physician is vital so that the muscles don’t go into spasm, which makes the reduction easier. After relocation, treatment may include ice, pain management and continued use of the sling. There are also guided rehabilitation programs for the shoulders to retain their range of motion and strength. Rehabilitation and therapy prevent future dislocations but in cases when physical therapy isn’t enough, surgery may be considered. Any sport carries the potential for injury. Shoulder dislocation is a common problem among young athletes engaging in contact sports and as a parent, it’s good to know its causes and possible treatment options. By knowing its basics and how to treat it, you help make sporting activities a positive experience for your children.